The API should be available on the 3rd party side to receive either a private link to a course or SCORM / HTML packages. The described API should be available on an appropriate 3rd party side to receive either a private link to a course (or an embed code) that is hosted on Easygenerator’s side (this one is preferable, because it’s the fastest option and allows you to send the link once, and then it will be updated automatically when you makedo the updates), or to receive SCORM / HTML packages to store them on the 3rd party side (takes more time to load the package). Company name: The name of your company that will be displayed in Easygenerator. Company logo: The logo of your company that will be displayed in Easygenerator (max width: 130px, max height: 130px). API URLs: URLs to your API where Easygenerator will send the requests. Secret key: The secret key that the API will receive with each request. It must be validated. This key should be a randomly generated string. This API should be available on the 3rd party side to receive courses from Easygenerator. The server, where Easygenerator is hosted, sends a request to the 3rd party server to provide a hosted course URL. 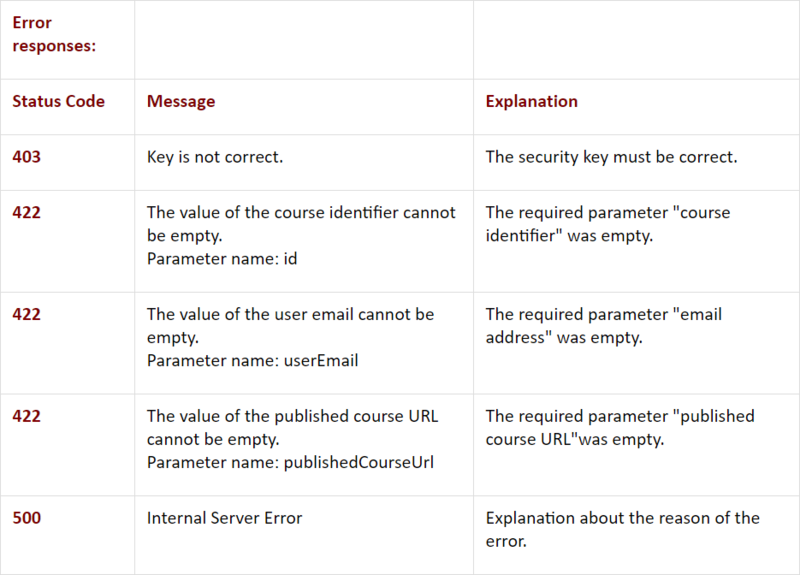 Note: /api/external/publishcourse is an example of the URL address. You can provide any URL you want. key: API key, provided by you. This key must be validated to confirm that our service sent the current request. Id: Unique identifier of the course that will be published. 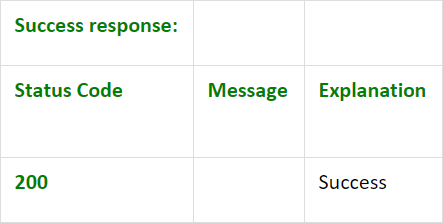 userEmail: Email of the user who is publishing the course. publishedCourseUrl: The course URL that is published on Easygenerator hosting.